Whether your Company serves customers in a large city or a small town, if your main source of clientele is local you need to adapt your search engine optimisation accordingly. Tao Digital can help you review and optimise your local search profile. This will get your business featured in more relevant searches and will help drive local traffic and customers towards your website. Using the various analytical tools at our disposal, the experts here at Tao Digital can make sure your website features the correct keywords and keyword densities to enhance your local presence. If you sell to local customers, you need to make sure your website has a strong local profile in the eyes of Google and the other popular search engines. Tao can help you achieve that! 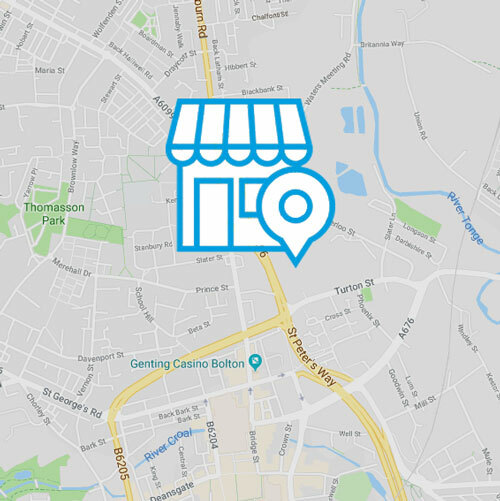 Internet users searching for your products or service within the areas you operate will have far more chance of finding you if your local SEO is correct. Get your website content right and you’ll benefit from improved organic optimisation. This will have a direct and positive impact on your local search rankings. When Google and the other search engines see your business name and address across different online portals, they’re more likely to trust and better understand your location. Featuring consistently across online directories and being deemed relevant to your area is an important part of local SEO. This will further increase the likelihood of your business being a top find in localised search results. Improving your business profile in terms of local searches will help more relevant web users to find your site’s pages. This will, in turn, help to generate a higher quality of lead and should have a great impact on your sales conversion rates. Generating local interest in your business is crucial to your online strategy and is an important part of our local SEO services. We can help you find the right stories to promote your business across your local area. By getting this part of your search strategy right, you’ll have a real opportunity to raise the profile of your business within your core target market. We can report back regularly to let you know how your digital PR and website links are performing and will offer advice and guidance to make sure you get the most out of these marketing solutions. Using the latest in analytics and digital marketing strategy, we’ll help you to stay ahead of your competitors. Local outreach is a crucial part of localised SEO and our team of PR professionals are on hand to support you every step of the way. Here at Tao Digital we can provide a free review of your firm’s web pages so that we can tailor a local SEO package for you. By driving local traffic to the most relevant parts of your website, our purpose is to make sure you generate better leads and achieve higher conversion rates. There’s no point having 100,000 people look at your business’s website if none of them ever turn into customers. If you sell to local people or local companies, we can enhance your lead generation which will help you convert more sales.